Long gone are the days when people had to fight for suitable treatment in the work place. At least for some employees who wake up to go to the old nine to five suitable treatment is a reality where employers and managers not only care about the state of the company, but the state of welling being of the people who serve to make their company successful. OCBC Bank of Singapore, has been that suitable company for nearly eighty years through strategic contribution, in which OCBC Human Resources Management [HRM] as Morgan & Stark (2014) wrote concerning strategic contribution an organization must “Be able to be key contributors in their organizational success. (Morgan & Stark, 2014). In this article there is analysis of the OCBC contribution and company success through collaborative efforts of education and mentoring throughout the term of employment and beyond. It is ironic that Pandy (2012) mentions “Human Capital ‘concerning their job pool, because in America there is rumor that some jobs are nothing more than labor farms, never investing anything into the help they hire. In fact, concerning this human capital and investment the OCBC Bank does invest and relay the message which says that their “Investment helps to build the capabilities of employees to deliver superior performance.” (Pandy, 2014). (b) (b) Aligning employee learning objectives with those of the business to suit their goals to help employees build a career not just a job. (Pandy, 2012). For example, the Career Best Program is a three year program for new hires (2007), and the OCBC Learning Academy, also known as the Learning Space @OCBC. We have a structured three-year development program that charts the learning roadmaps for every employee during their first 3 years of service. Employees have opportunities to hone their skills through on-the-job training, in-house training programs, courses and other management development program. Our employees are encouraged to take charge of their own careers through our Career Best Program. This program allows them to evaluate their strengths and career orientation, and find the best fit between their talents and OCBC’s organizational needs. Through our Internal Job-Posting program, we provide employees the choice to pursue job opportunities across the OCBC Group, locally and overseas. This career mobility opportunity is key to attracting and retaining talents in the organization. Overseas postings are offered to employees who have the right skill sets and aspire to gain work experience in the different markets that we operate in. (The OCBC Group, 2015, para. 1). One study showed that employees receiving predominantly negative feedback from their managers were over 20 times more likely to be engaged than those receiving little or no feedback, proving that any form of feedback from an employer is better than none at all [Keep the Lines of Communication Open Section]. Though similar in context for this article Wells Fargo does not expound on programs aimed to educate their employees for better productivity past the first day of welcome. This is becoming ever more important as increasing numbers of OCBC’s clients are doing business outside Singapore. “If we want to serve them well, we need to be able to communicate with them on the same wavelength as they know about the markets,” he said. Other employee schemes include the Future Leaders Program, which identifies high-potential staff and grooms them for top management roles. (Yahya, 2013). In conclusion, the OCBC Bank of Singapore takes interest in their employees by first educating their employees to welcome them in the first three years of their work life with the company much like a mom would nurture her babe while learning to walk, while, Wells Fargo welcomes their employees on the first day which makes that special, but what about the next day or even years activities? Conversely, seminars, workshops and programs are great, however. OCBC Bank’s dedication to an entire floor further cements engagement tactics for present tense situations. 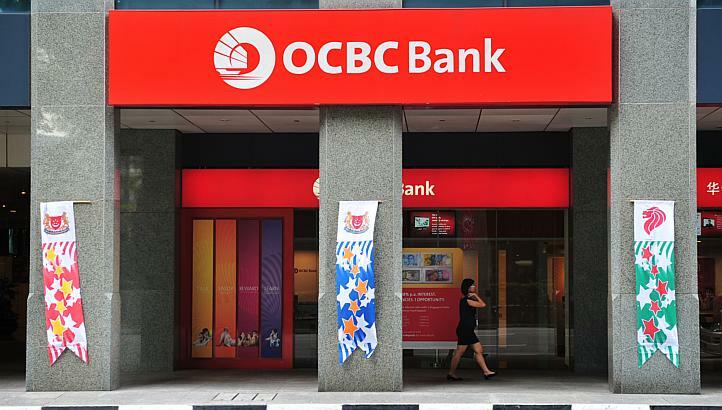 All and all, the OCBC Bank’s care of its employees allow longevity of employment to add employee morale, plus, productivity in the workplace. This entry was posted in Business, Business Law and Ethics, Community, Education, Employment, Equal Rights and tagged Benefits, Business, Education, Training. Bookmark the permalink.